IELTS Energy 217: 3 Keys Success Story! How a New Mom Moved up to an 8.5 in IELTS Reading! Today you’ll get another 3 Keys success story. You’ll hear how a new mom move up to an 8.5 in IELTS Reading. You’ll find out how Katerina has juggled her time to prepare for the exam and to achieve this awesome score. Katerina had never taken the IELTS before. She wanted to take the exam so that she would be able to go abroad one day. 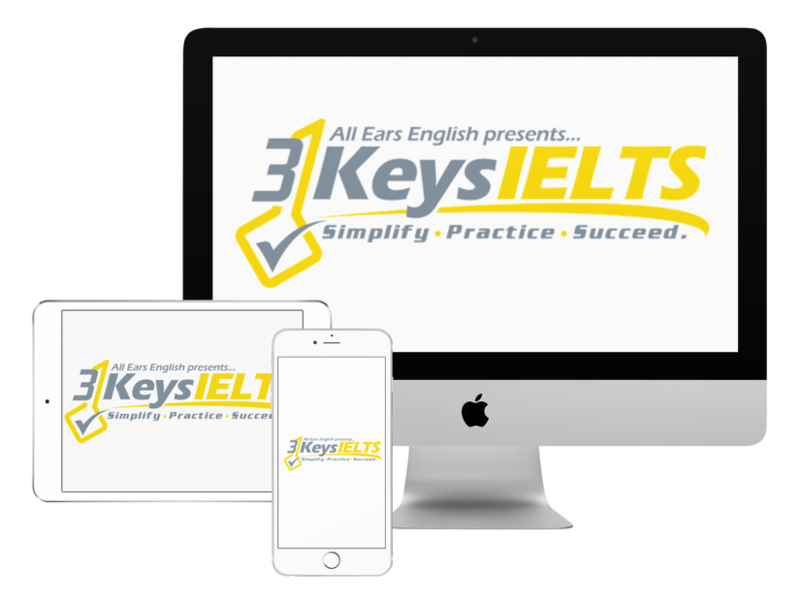 She found 3 Keys IELTS and fell in love with it. She loved the road map/study plan in the course. She chose the 60-day schedule. She stuck to the schedule and did everything that was on the road map. She didn’t need any other information or assignments. Leave your thoughts behind and concentrate on your answer sheet. You must focus to get the best possible score. Be present in the moment.? She knew what would be the most difficult part of the test (Y, N, NG) and Matching Headings. She focused on these two parts and she practiced a lot. She understood exactly how to find the right answers because she used our study plan. She thinks that without doing our course she wouldn’t have been able to answer these questions. In our course after students do the practice exercises you get another video to see why the answers are what they are. She did a lot of extra reading practice. She had extra time after finishing the 60-day schedule. She divided the three weeks into 4 sections focusing on speaking, reading, writing, and listening. She was looking for material that was useful. She used newspapers three times per week and she is continuing to read as much as possible now, even after the exam. She used advice that she got in the course. She learned in the course that if you don’t have the answer right away you should skip ahead and then go back later. She left time to check. She marked difficult questions that she wasn’t sure about. In the last 5 minutes she went back to those questions and was able to figure out the correct answer. Time! You need a study plan. Our study plan in 3 Keys IELTS is working right now for hundreds of students and it also worked for Katerina. You need to organize your time with the study plan. What comments do you have from today’s episode?